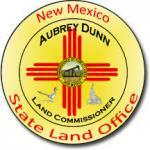 Two southeastern New Mexico companies are suing Land Commissioner Aubrey Dunn over a policy that governs how much water oil and gas producers can pump from a regional aquifer for their operations. Loco Hills Water Solutions, LLC, and Steve Carter Inc. argue Dunn has overstepped his authority and is compromising more than $15 million in recent investments in water wells and pipelines. Dunn said earlier this year that parts of eastern New Mexico are facing a crisis as the Ogallala Aquifer is depleted, and the policy was aimed at easing pressure on the underground water supply. The two Loco Hills companies are seeking an injunction against Dunn for what they call “overreach” in his role as land commissioner. They allege Dunn’s policies are not being applied fairly or uniformly and assert the State Land Office does not have the authority to dictate water policy, calling that the “exclusive domain” of the State Engineer. The plaintiffs operate approximately 25 active water wells on State Trust Lands in Lea County and are permitted by the State Engineer to produce 2,492 acre-feet of water per year to service the oil and gas industry. The wells have been active since the early 1960s and consistently renewed each five years by the SLO.